Ok after watching both flitetest and experimental airlines, I decided to start construction on my own design of a Pushy Cat with a wider wing span to help with slow flying characteristics. Current weight is 162grams with no electrics (or elevator.) Material is 6mm depron Span is 38 inches. 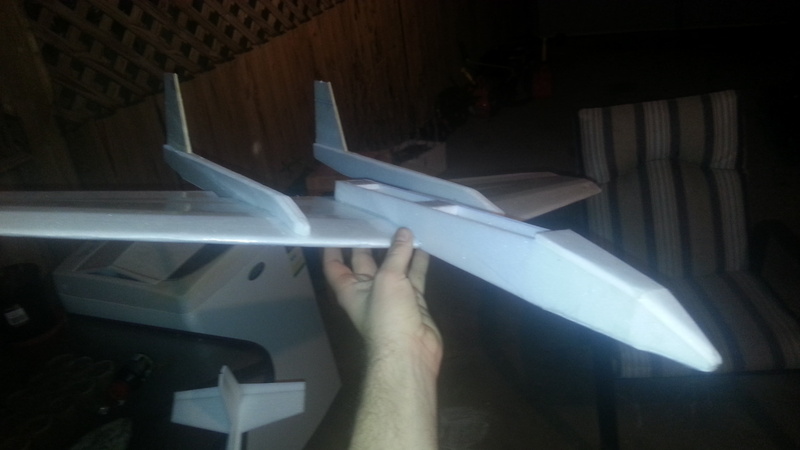 The wing is reasonably strong without reinforcement other than packing tape. Similar for the body accept for 1.5mm carbon fiber spars in the booms. I am looking to put in a slowfly prop set up of around 200 to 250 watts. Any suggestions as I haven't had much to do with such small setups before? 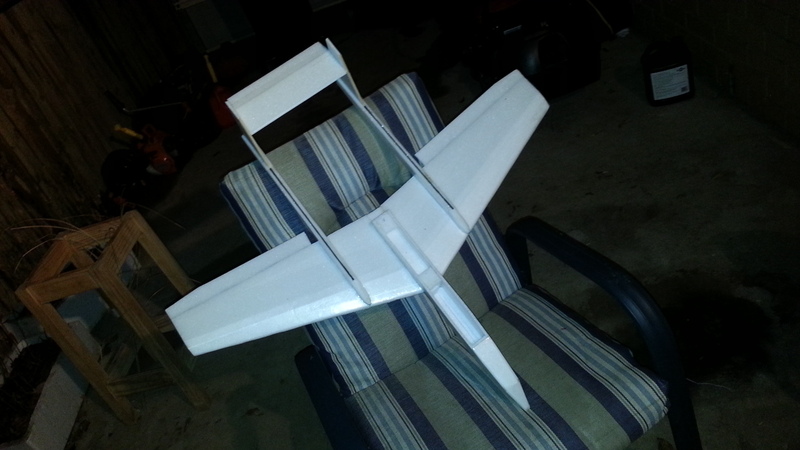 I can fit upto a 9 inch prop between the booms. Just do some research on say the Hobby King web site. They usually give the max power and cell rating with recommended props for each motor. Once you have found one that gives 250W with a 9" prop then you have an idea of an appropriate motor weight and kV for a given number of cells. You can then use these figures to identify other similar motors where recommended power and prop data is not given. Cheers. I think I have a motor in mind. It's rated at 380 watts but I'll prop it down to 8x4 prop. Should give around 260watts if my miss-calculations are correct.